In our family it is my job to preview all the new anime. 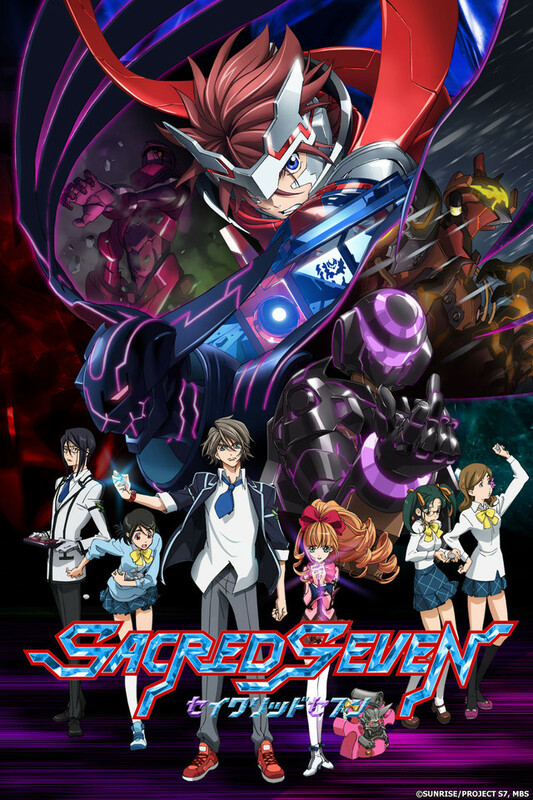 I have to be honest I only watched Sacred Seven because it was on Crunchyroll and I still had more then half a cup of coffee left to drink. I start it up and my first thought was hmm, not bad, then hey this is pretty good. Then wow, this is fun!. The storyline could have been real cheesy, but it wasn't, the music fits the dramatic storyline the characters seem solid and the animation is great. When my hubby watched it with me(it was my second time seeing it) he was way into it. So...for some summer fun that does not involve sunburn and scorching heat, sit back and enjoy the action. I liked it but it needed more time. This anime lived up to my expectations of it but left me a longing for an epic battle between good and evil. The music could have been more moving in the action sequences but everything was right on track.